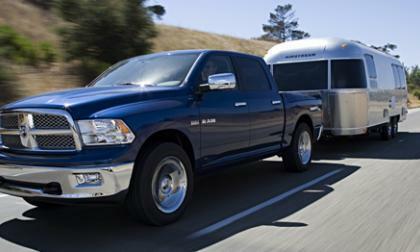 The best pickup truck for $30,000 is the Ram 2011 1500 Quad Cab Hemi according to a recent comparison test against Ford, Chevrolet, Nissan and Toyota pickups. Let the debates begin among the fan class for each truck. While speaking with a group of reporters in Dearborn, Ford Motor Company sales analyst George Pipas stated that the truck segment as a whole is the strongest it has been this year – currently holding about 13% of the overall American new car market. 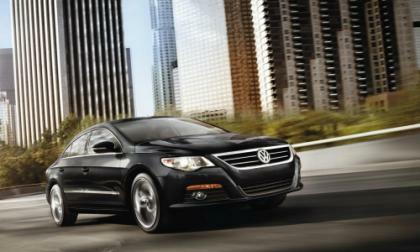 The 2011 Frankfurt Motor Show has been considered a grand success. Automobile manufactures for all makes and models of cars, old and new, from the most elaborate and pricey to more modest and even electric vehicles were showcased. Audi is teaming up with the FX Network to bring to the public a 16-minute short form original drama called “Untitled Jersey City Project”. 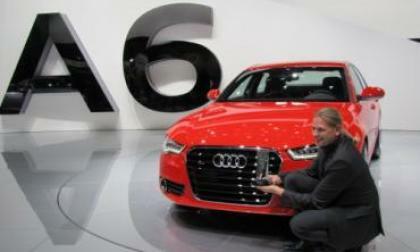 This joint venture will be featuring the all-new 2012 Audi A6. 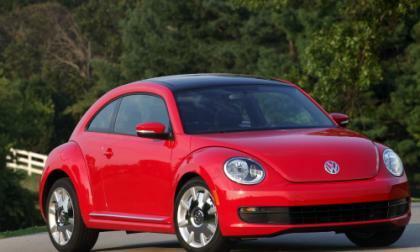 This morning granted a great change for the auto industry loan program. Early Friday morning, the House approved a stopgap bill to fund the government's operations from now through November 18, 2011. 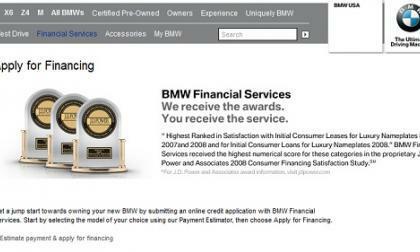 BMW Financial Services has a new program called the College Graduation Program. Its agenda is to target college graduates and young professionals with expanded college graduate degrees under their belts in an attempt to help them afford leases or auto loans for purchasing new BMWs. 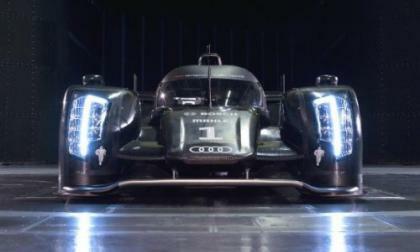 Audi has long been a dominating force in the world of Le Mans racing and their new LMP (Le Mans Prototype) competitor – the Audi R18 TDI – will take to Road Atlanta in an attempt to bring the German automaker their tenth win in the Petit Le Mans race event on October 1st. 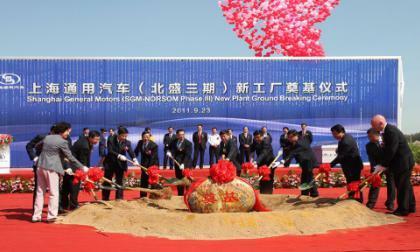 Shanghai GM (Shenyang) Norsom Motors, GM China’s joint venture with SAIC and Shanghai GM in Shenyang, today broke ground for its new manufacturing facility. Subaru and the National Highway Traffic Safety Administration have issued a recall of select Subaru Legacy and Outback models over a concern that the wiper motor could overheat – causing the wipers to stop working suddenly and in the worst case scenario this could also start a fire. 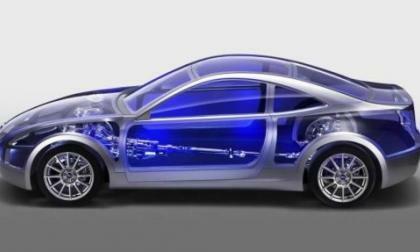 Among trends in the leasing industry reported by LeaseTrader.com are that short-term leasing "remains strong," lease buyouts for Toyota and Lexus automobiles are easing and the Chevrolet Volt is gaining lease customers. 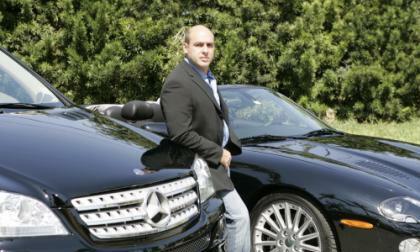 Maybach has models such as the Daimler, that seem to sit in a class of its own, and the brand offers car enthusiasts an exceptional and atypical vehicle of high quality and uniqueness – and a steep price ticket to boot. 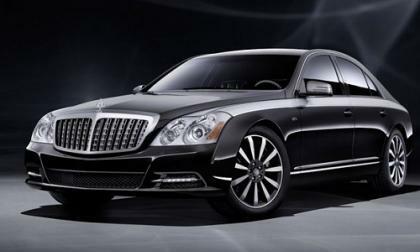 Well, Maybach is adding to their collection with the exciting new Edition 125! 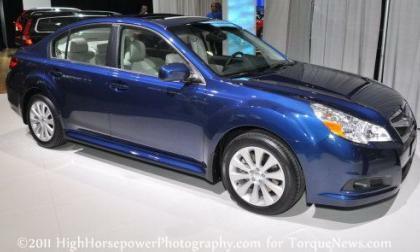 vehicle which they showed off at the 2011 Frankfurt Motor Show. 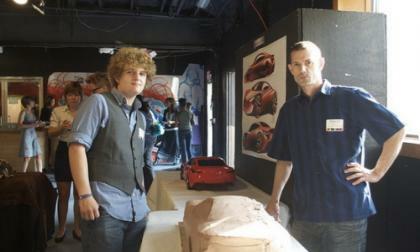 The 2011 Frankfort Motor Show was a grand success in revealing some of the best new up and coming small cars of the future. 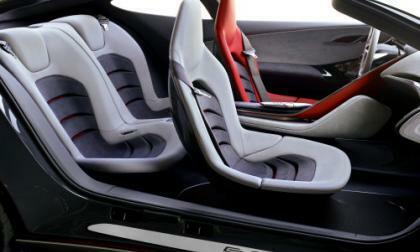 Ford was right there to share its forthcoming ideas, including the Focus ST and the Evos. With its signed agreement with General Motors (NYSE: GM), it is clear that General Electric (NYSE: GE) has officially joined the auto stock sector with its contribution to the charging infrastructure of the EVS in China. 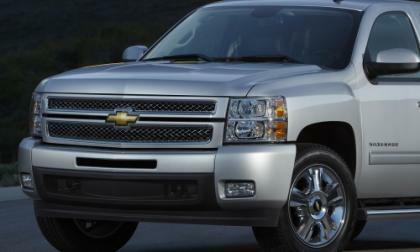 The city of Chicago has ordered 80 natural gas-powered vans and trucks from Advantage Chevrolet in Hodgkins, Ill. The contract awarded by the city asks Advantage to supply one of America's largest urban centers with up to 40 compressed natural gas-powered Chevrolet Express vans and up to 40 CNG-powered Chevy Silverado pickup trucks. 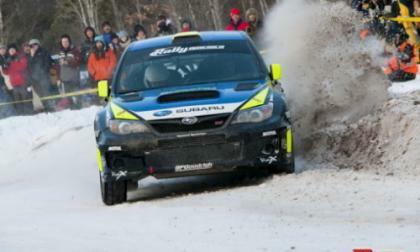 Rally America Inc., the Golden Valley, Minn., sanctioning and Rally promotion organization in the United States, was purchased today by Bill Fogg, a Vermont entrepreneur with a marketing background who wants to bring the sport to a worldwide audience in 2012. One of the largest stressors that owners of electric vehicles have is probably the fear of running out of power and not having a place nearby to recharge their cars. 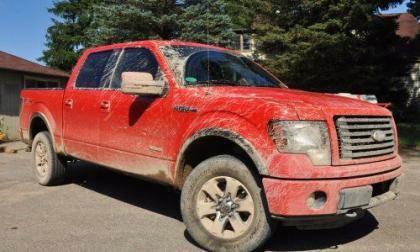 AAA is coming out with North America’s first mobile charging roadside-assistance trucks to help reduce this stress. 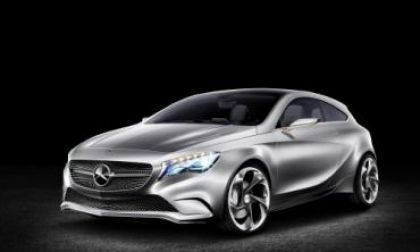 The 2011 Frankfurt Auto Show had the best of the best in show of most every brand, model and make of automobiles out there. What became clear to many is that most Americans and Canadians could only afford the European brand cars, which excludes them from most of the exotics that were featured at the show in Germany. 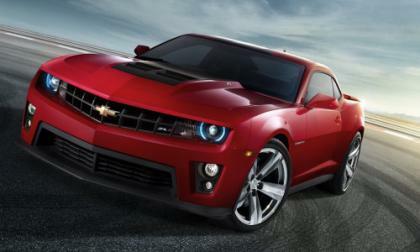 General Motors plans to raise the bar for the muscle car industry when they introduce the 2012 Chevrolet Camaro ZL1 early next year but before these new high performance Camaros hit the streets, GM hopes to drive more interest in the 580 horsepower ZL1 via a handful of short commercials highlighting the car’s capabilities. People who go to the auto show in Orange County, Calif., through the end of this weekend will be able to test drive dozens of 2012 cars, trucks and vans -- everything from the new Volkswagen Beetle to the Fiat 500 and Chevrolet Sonic. 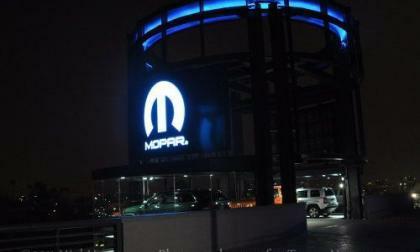 When the Chrysler Group had their gala grand opening at the new Motor Village dealership in Los Angeles last year, their vision for the next generation of five-brand Chrysler dealerships became a reality but due to a handful of angry local dealers backed by California law, Chrysler will sell the Motor Village to Hollywood-based New Century Automotive Group. 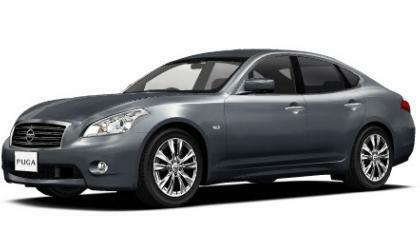 Mitsubishi and Nissan continue to collaborate and form joint ventures, with the latest being a plan for Mitsubishi to sell a version of our Infiniti M sedan in the Japanese domestic market. Leading up to the 2011 Frankfurt Motor Show, Subaru teased us with the news that the Subaru BRZ Prologue (shown in the gallery on the right) would be coming to the German show but while that car turned out to be more of a display of the drivetrain, when the 2011 LA Auto Show opens we will get our first look at the Subaru BRZ – body and all. 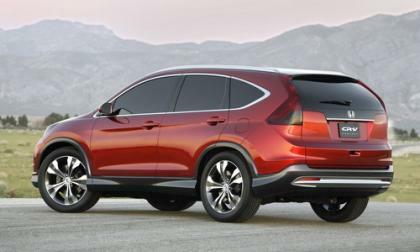 The 2012 CR-V Concept was unveiled by Honda at the Orange County International Auto Show in Anaheim, Calif., today, ushering in the future look of Honda's styling taste via the fourth-generation CR-V. 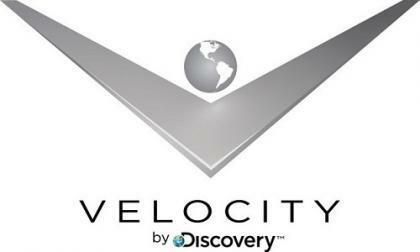 The Discovery Channel is introducing an exciting new program called Velocity for car enthusiasts. Get ready because in late 2011, this diverse and original new series will be sharing exciting and great information and specials with all who share love and passion for automobiles. Lately, with the new installation of cameras within traffic lights to help deter drivers from running red lights, scammers are taking advantage of weary drivers and committing identity theft in the process. 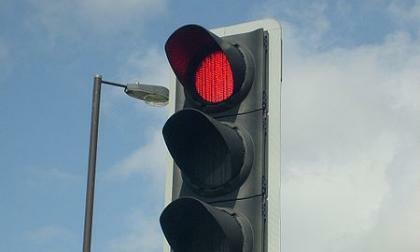 The word on the street is to be careful of traffic light scams. Mercedes-Benz is taking its extraordinary Concept A-CLASS model on tour for the world to see. The breathtaking vehicle has already been to a major motor show on two different continents and is now on its way to show its presence in the United Kingdom. The Neutral Zone, a youth drop-in center outside Detroit in Ann Arbor, Mich., that promotes personal growth of teen-agers through artistic expression, held a grand opening of its newly redone visual arts space this week, showcasing teen art and celebrating their accomplishments with music, dance, interactive art displays and tours. Does it make sense that the leading automotive technology company in the world should cave in to the demands of a country? 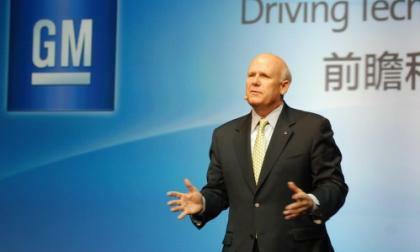 Well, General Motors (NYSE: GM) did when it agreed to revealing its electrical technology secrets to China just before GM China hosted the "Driving Technology to Tomorrow" event. 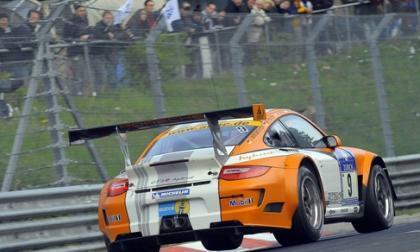 Madison Snow, at just 15-years-old, drove his Porsche 911 GT3 Cup over the finish line to victory, and won the 2011 International Motor Sports Association GT3 Cup Challenge at the series’ stop at Laguna Seca this year. Snow doesn’t even have a driver’s license yet; however, he does have more talent than many race car drivers double his age. The new Quarterly Car Buyers Market Report issued Wednesday by NADAguides identifies nine current "recommended buys" from Audi, BMW, Chevrolet, Ford, GMC, Hyundai, Land Rover, Toyota and Volkswagen.